Confined spaces in the workplace pose a significant risk of injury and death. Hazards in confined spaces can result in fire, explosion, unconsciousness, asphyxiation, or drowning. Confined space incidents can happen suddenly, often without any warning. Employers must take the necessary steps to ensure worker safety around confined spaces. BEST Safety Trainings Confined Space Entry training was created to help people who enter confined spaces meet requirements of the OHSA. 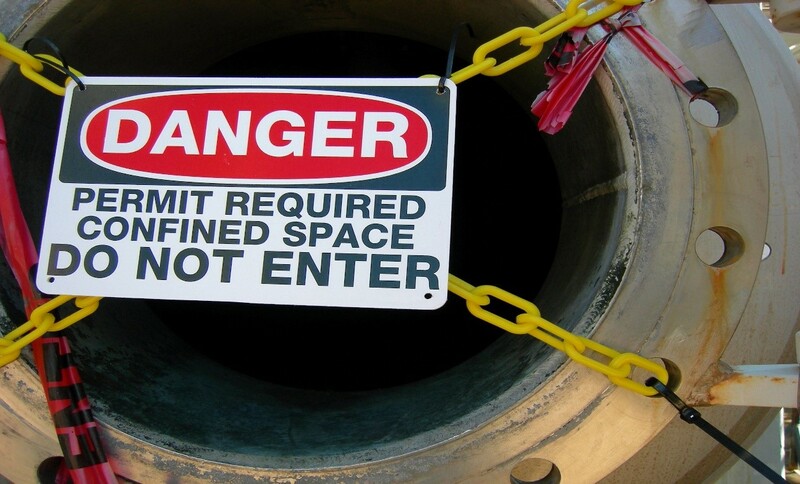 Confined space requirements have been consolidated into one regulation, O. Reg. 632/05 (Confined Spaces Regulation or Regulation). Supervisors, lead hands, workers and health and safety committee members/ representatives who work with or supervise Confined Space Entry. This is a 3-4 hour theory program with a review of Confined Space Entry Protocols, forms to be populated for entry as well as understanding of how your atmospheric testing equipment operates.